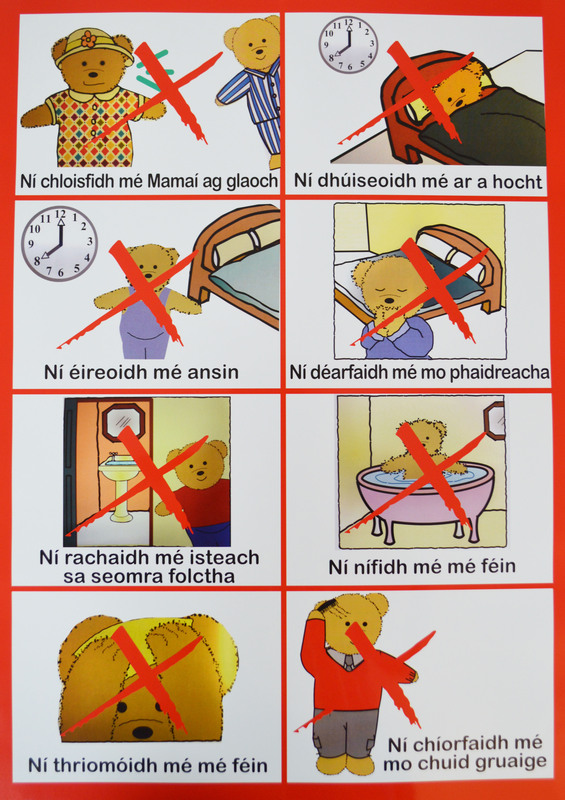 There are nine posters in each set, the posters are double sided; one side is positive, the reverse is negative. 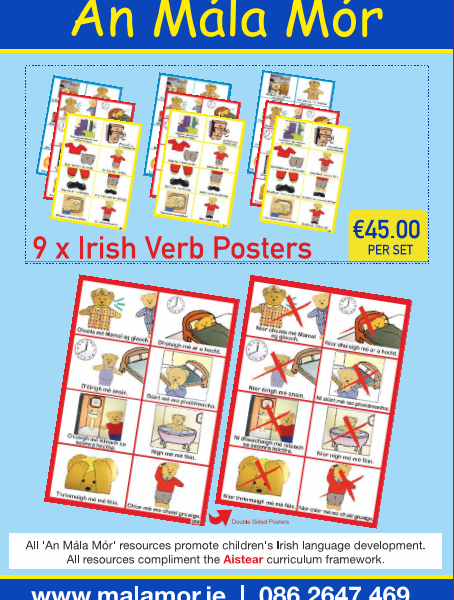 The posters contain the future, present and past tenses. 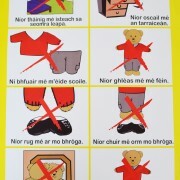 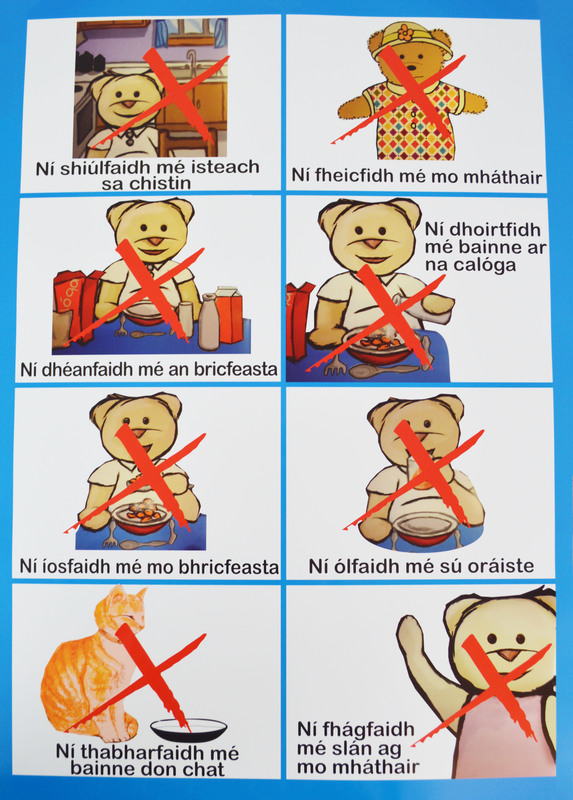 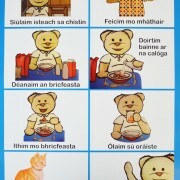 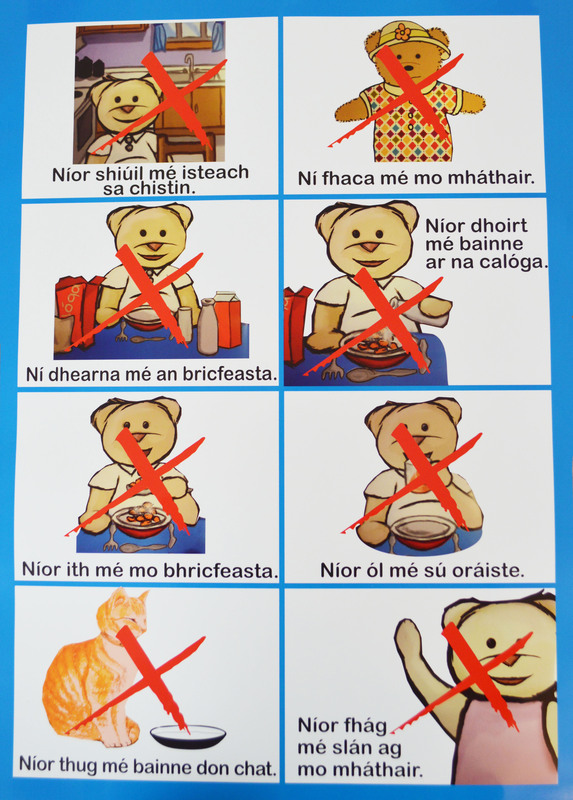 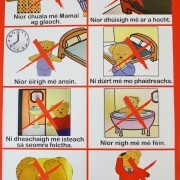 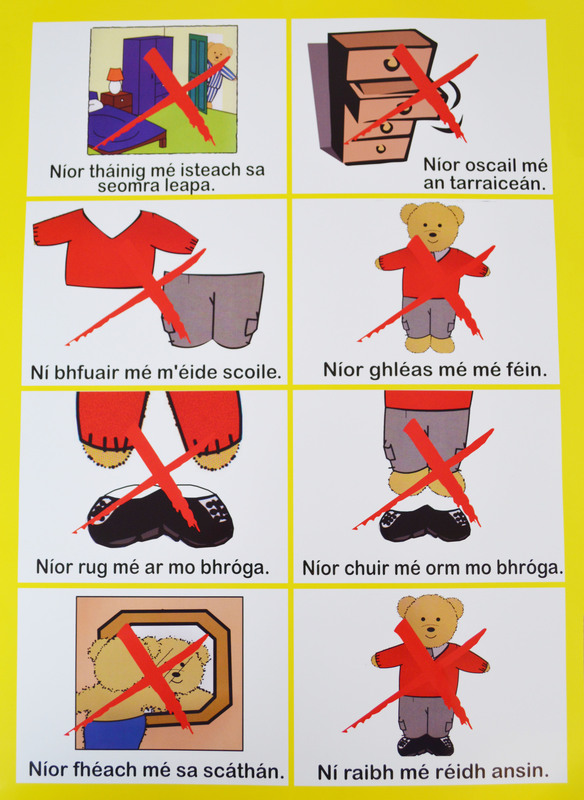 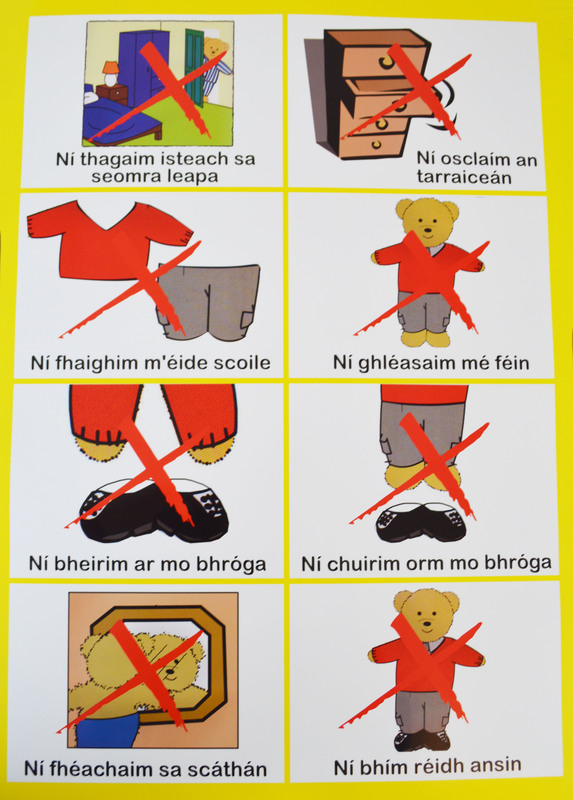 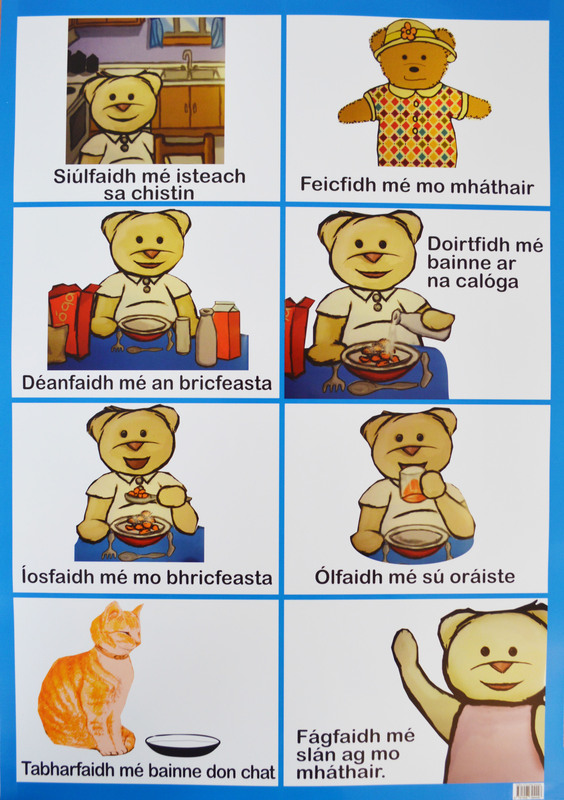 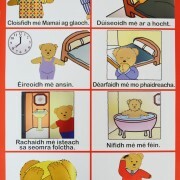 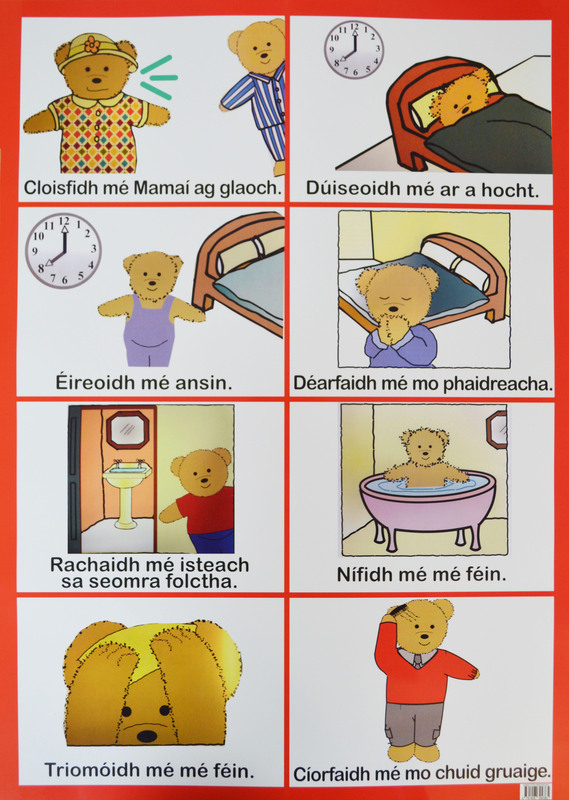 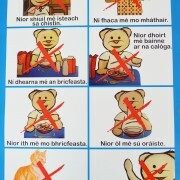 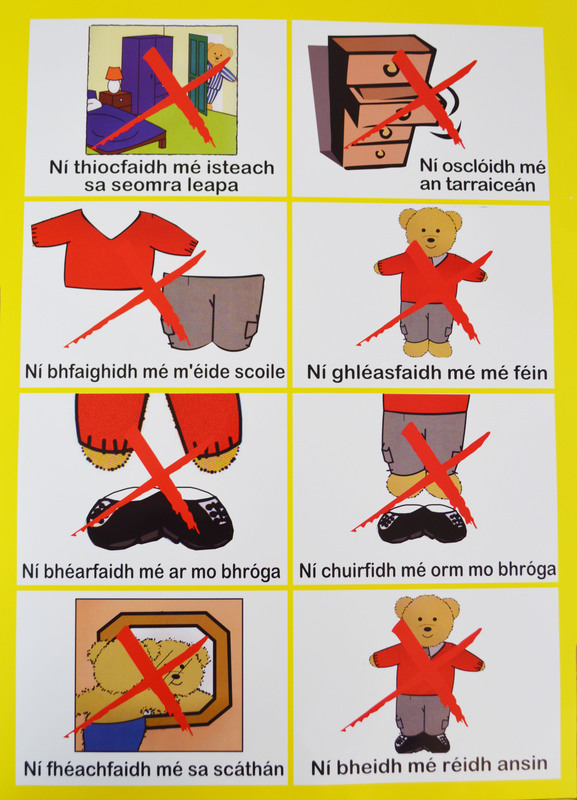 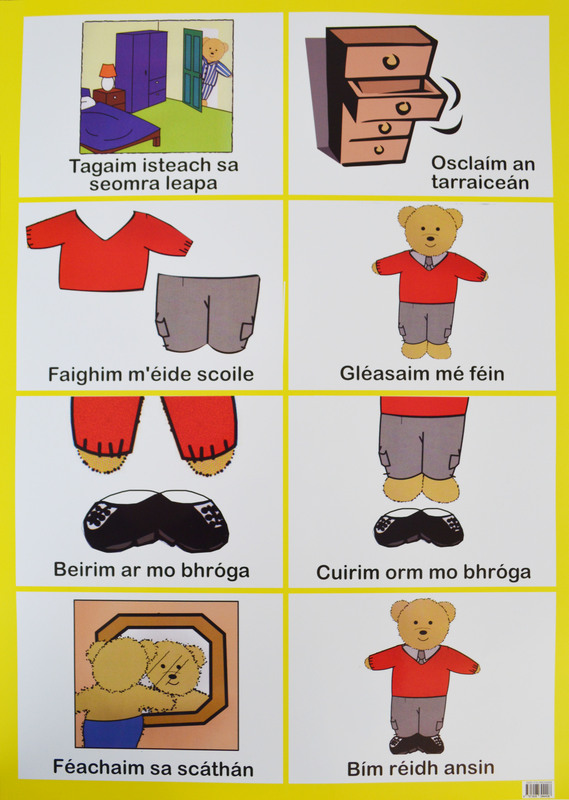 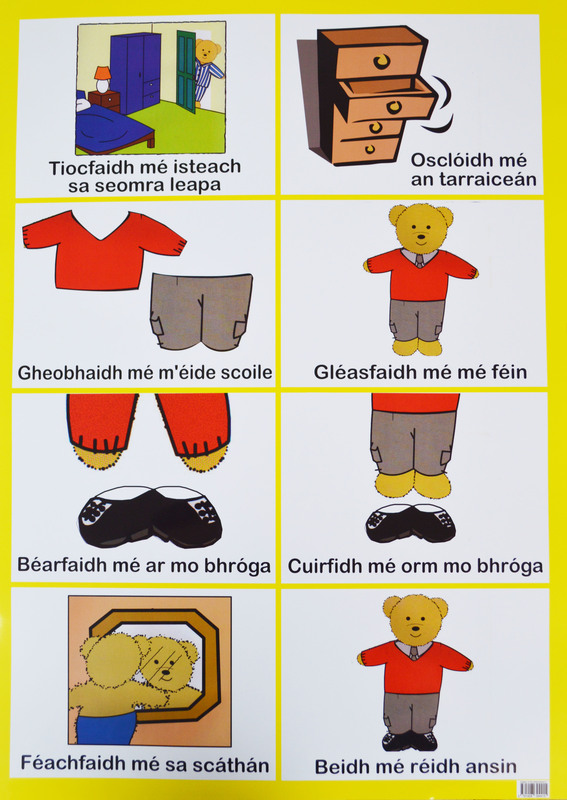 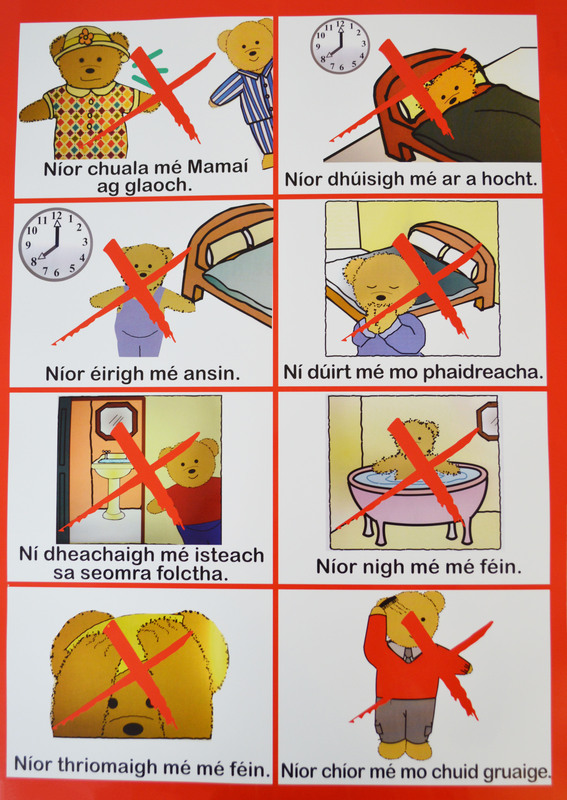 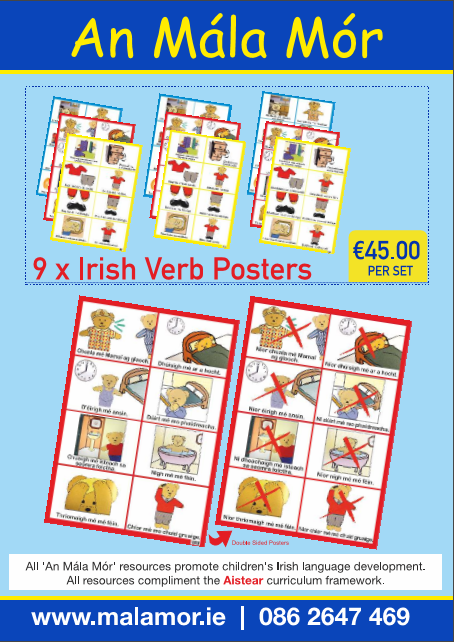 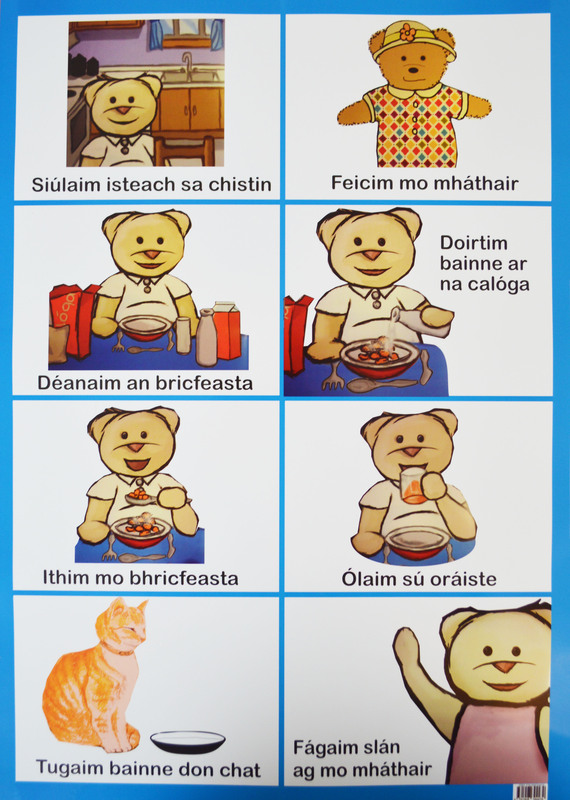 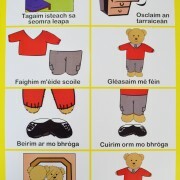 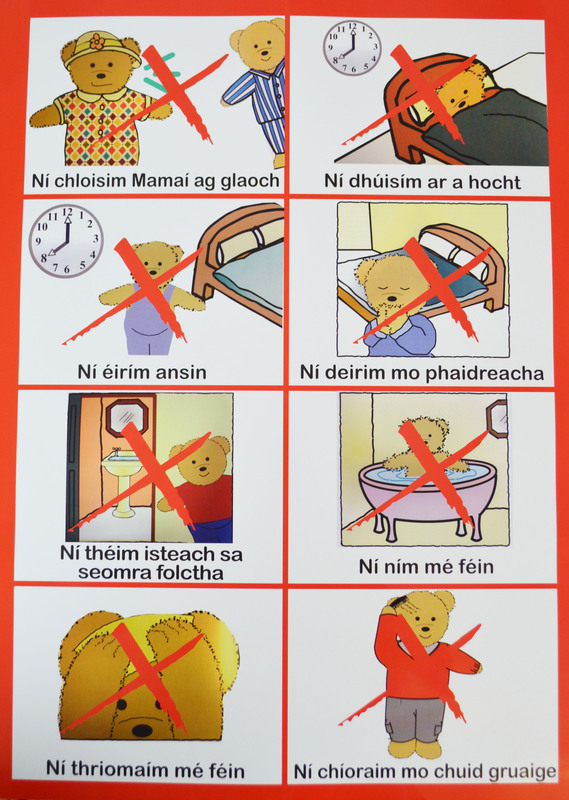 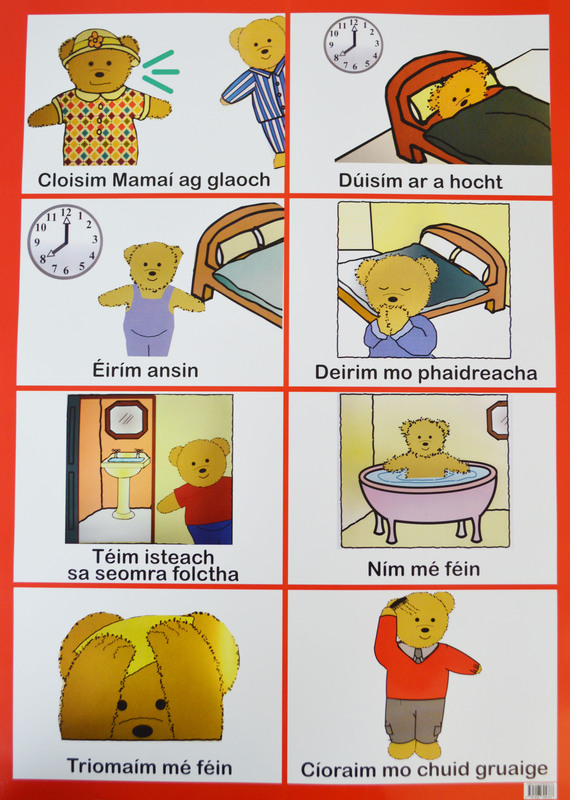 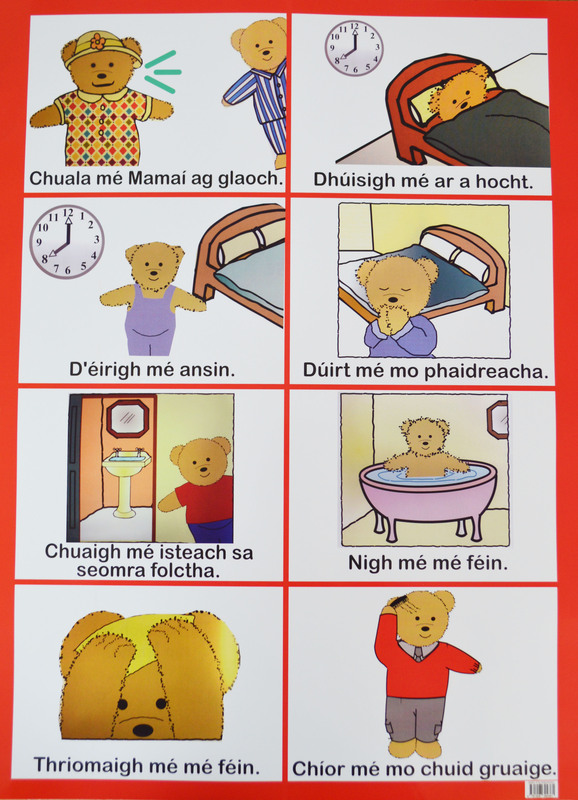 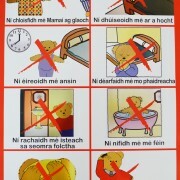 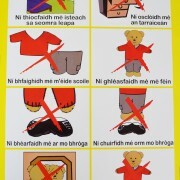 The posters are based on a sequence of Teidí’s events throughout the day, incorporating all of the irregular verbs and some of the regular verbs.